India, Pakistan, Australia, Samoa and New Zealand – have registered their attendance for the upcoming Asia-Pacific Fistball Championships to be hosted by Fistball Federation of Australia (FiFA) in November, 2018. All nations other than Pakistan and Samoa have committed both a men’s and women’s team, with Pakistan and Samoa planning on sending men’s teams only. With India and Pakistan locking in their planned attendance, three of the four men’s teams from the last Asian Fistball Championships will be battling it out once again, continuing the fistball rivalries that began in force back in April 2014 at the University of Lahore in Pakistan. The fourth team from that tournament – Nepal – will effectively be replaced by FiFA’s Trans-Tasman neighbours New Zealand, having begun their fistball journey in 2016 and already faced Australian men’s and women’s teams at the Trans-Tasman Fistball Championships in 2017 (in Geelong) and earlier this year in Christchurch, NZ. 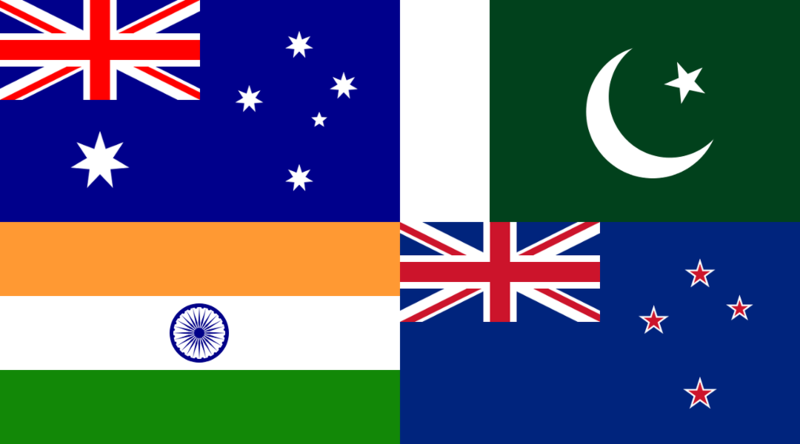 Almost as significant is the fact that these 4 nations already share a strong sporting rivalry through the trials and tribulations of international cricket. In fact, of the two Cricket World Cups co-hosted by Australia (with New Zealand), the most recent in 2015 was won by Australia (against New Zealand in the final), and the iconically-stylish 1992 tournament was Pakistan’s sole World Cup victory to date. Even outside of cricket, India and Pakistan have one of the fiercest rivalries in world sport, and they will be looking forward to going head-to-head once again on the international fistball stage. While Australia may generally have the upper hand in cricket, New Zealand regularly torments Australia in rugby union, and in retaliation Australia tends to claim New Zealand’s more prominent entertainment figures as their own. A brand new addition to the Interntional Fistball community, it will be Samoa's international Fistball debut, with the team having only formed earlier this year. It should make for a fantastic tournament.